Integra Service Dogs Australia covers all dog and travel-related expenses for the program to ensure that it is available to everyone who needs it. This program is provided free of charge to each participant. Our dogs and the equipment they need are gifted to our handlers free of charge. Training for our teams is also provided free of charge to each recipient. It takes between 6-12 months and between $25,000-$30,000 for a team to prepare for and complete the Public Access Test. This support includes dog food, veterinary treatments, obedience training, training equipment, identification cards and other support documentation. If you’d like to support us please consider donating. All your generous donations help with all of these costs. 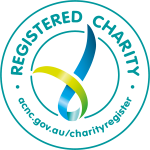 You can make donations to us with confidence knowing that ISDA is a registered charity, approved by the Australian Charities & Not For Profit Commission and donations to ISDA are tax deductible as approved by the Australian Taxation Office. We direct all of our resourcing into providing the best possible service dogs to veterans and first responders in need. Click on your preferred level of donation then simply complete your details on the donation form to donate. Help feed a service dog while in training. Help outfit a service dog with an ISDA vest, a gentle leader head collar, a leash, a collar and a bed. Our Service Dogs wear an ISDA vest and patch, this allows members of the public to quickly be made aware that the dog is working and has undertaken significant training to provide the veteran or first responder with assistance when required. While in training our ISDA dogs needs to be in the best of health you can help cover the cost of: annual vaccines, flea & worming treatments and a visit to the VET. You can help support family, friends and members of the community who suffer from Post Traumatic Stress Disorder. Help pay for the cost of our training classes. The goal of the program is the training and successful completion of the Public Access Test (PAT), resulting in a fully certified Service Dog which remains in the care of the veteran or first responder. The bond created through each team is life changing. Please enter an amount you would like to donate. Note this field needs to be in numbers only ie no $ sign etc. We use a secure payment system to take your donation and your information is not shared with anyone else.